Still looking for the perfect Skincare for your face? 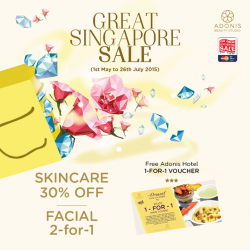 Enjoy 30% off Adonis Skincare during GSS period. ASPURE range fights free radical, prevent wrinkles and aged skin. Enjoy the [GSS 2-for-1 Special] Complimentary 1-for-1 Adonis Hotel Main Course and 30% off Skincare @ Adonis Beauty. Until 26th July 2015. 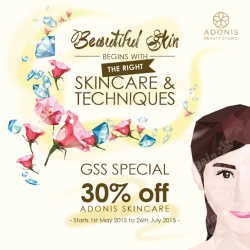 Upcoming Skincare Deal for GSS 2015 with 30% off at Adonis Beauty! Starts 1st May 2015 to 26th July 2015. 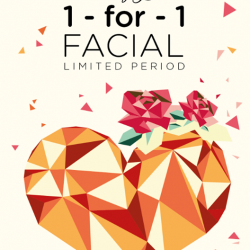 Enjoy 1-for-1 Facial! Book your treatments between 12pm-4pm to avoid disappointment. Most of their peak hours are fully booked! Have a great experience with Adonis. 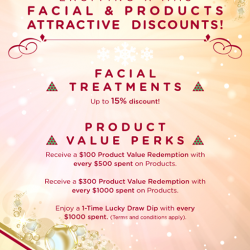 Enjoy attractive Facial Discounts up to 15% off and Perks for this coming Christmas! 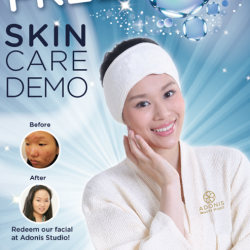 Adonis Beauty | Ladies Expo 2014 Specials From 25 to 28 Sept 2014 only! Adonis Beauty will be at the Ladies Expo 2014 @ MBS. Simply fill up the form at their booth, and you will get to redeem Facial and Travel Gift set. Stand a Chance to win a 1-night Adonis Hotel Stay! In addition, don't miss out their free Skincare demonstration as well! Venue: Booth 255 MBS, Level 1, Hall B.